Wouldn’t it be nice to be in a country with a low risk of natural disasters? You would never have to worry about earthquakes, hurricanes, tornadoes, droughts, or floods. The United States has has a rough time recently with natural disasters. Hurricane Harvey caused devastating flooding in Houston and other cities along the Texas coast, and just a week later, the monstrously huge Hurricane Irma ripped up the entire state of Florida. Meanwhile, wildfires are raging across the West. We wouldn’t blame you if you wanted to book a ticket to a nation that almost never experiences natural disasters! If you are looking for the country where you will be safest from natural disasters, we have good news for you. The United Nations has already done the research for you! Since 2011, the United Nations University Institute for Environment and Human Security has compiled the World Risk Report to calculate where people are at most risk from events like hurricanes or floods. The report takes into account not just how prone a country is to disasters, but how well prepared the country is to deal with a catastrophic event. They consider factors like transportation infrastructure, power grids, and communications. It makes sense. If you are in a country where it is hard to get a cell signal on a good day, it will be almost impossible to communicate after a storm. If the roads are bad to begin with, it will be even harder for emergency services to get around, or for trucks to bring needed supplies. The most recent World Risk Report was published in 2016. Want to know which countries were deemed to be the safest from natural hazards? Read on! Residents of Qatar, a small oil-rich nation on the Arabian Peninsula, can sleep well at night. The World Risk Report has consistently named Qatar as the nation where you have the lowest risk of natural disasters. With its sheltered position inside the Persian Gulf, Qatar is protected from tropical cyclones. There are no earthquakes or volcanoes because it is far from any fault lines. Most of the terrain consists of barren plains and sand dunes. With no forests, there is no risk of forest fires that could rage out of control. As a wealthy, industrialized nation, Qatar also has a well-developed infrastructure that would allow the country to recover quickly if there ever was a catastrophe. Want to go to Qatar? You’ll need to have at least six months validity remaining on your passport, and two or more completely blank pages. You will also need to have a tourist visa to visit Qatar. Perhaps Doha, Qatar, with average summer temperatures of 106 degrees, isn’t your cup of tea for a vacation destination. Consider another one of the nations that the World Risk Report has deemed safe from natural hazards. The second entry on the list of safest countries is the European island nation of Malta. Malta lies in the Mediterranean Sea, south of Sicily. Although the nation lies near the fault line of the European plate, it has only experienced seven earthquakes in the last 500 years. 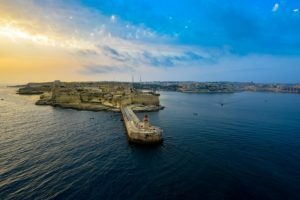 Malta, like the rest of the Mediterranean, does not get hurricanes, and the last time the island experienced a major tornado was in the 1550s! Jetting off to Malta? Your US passport must be valid for at least three months past your departure from Europe. You can stay for up to 90 days without a visa, and you’ll need one blank passport page for your entry stamp. It shouldn’t come as too much of a surprise that Saudi Arabia is safe from natural disasters. After all, Qatar is the safest country, and Qatar is a little peninsula that juts off of Saudi Arabia! Saudi Arabia enjoys many of the same advantages that keep Qatar safe. 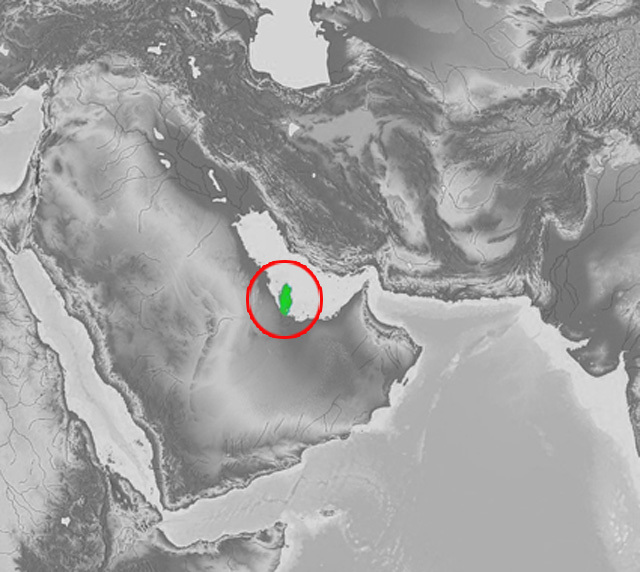 Saudi Arabia only rarely experiences earthquakes or dangerous weather conditions such as flash floods or dust storms. The Kingdom of Saudi Arabia is also one of the world’s wealthiest countries, with well-developed infrastructure to keep citizens safe in the event of disaster. Dreaming of a trip to Saudi Arabia? US citizens need to have visas to visit Saudi Arabia, and the nation does not issue tourist visas. You’ll need to have a sponsor in Saudi Arabia request an official invitation for you. Your passport must be valid for the full duration of your visa validity, and have at least one blank page when you enter the country. Wait, a Caribbean nation is one of the least prone to natural disasters? It’s true. While many other Caribbean islands are regularly hit by hurricanes, Barbados is typically spared. Barbados is part of the Windward Islands chain, located in the Eastern Caribbean. It is closer to South America than to the US. 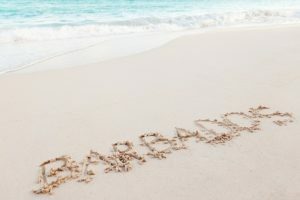 Barbados does not experience earthquakes and does not have any volcanoes, and the moist tropical climate prevents forest fires. The worst hazard is minor landslides from heavy rains. Ready to go to Barbados? All you need is your US passport, which must be valid on the day you enter Barbados. Your passport just needs one blank page for the entry stamp. Best of all, you can stay for up to six months without a visa! Barbados’ neighbor, Grenada, is another of the world’s safest nations when it comes to natural disasters. The island of Grenada is further south than Barbados, putting it further into the zone of hurricane protection provided by the Coriolis force. The Coriolis force is the tendency for winds to blow in a straight line around the globe near the equator. These winds don’t allow hurricanes to generate the spinning winds that make them so dangerous. 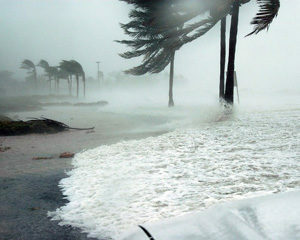 Grenada enjoyed a hurricane-free period of 49 years straight, between Hurricane Janet in 1955 and Hurricane Ivan in 2004. Heading to Grenada? Your passport must be valid for six months past your date of arrival, but no worries if your passport is starting to fill up. Grenada just asks that you have one quarter of a page blank for your entry stamp! You don’t need a visa, either, but you will need to have your departure flight booked.